Perfectly suited for all your home and office needs, our Courier's Desk is handcrafted out of the finest hardwoods and designed to last a lifetime. Here at Countryside, we are dedicated to give you the best quality solid wood office furniture on the market. With dovetailed drawers on full extension slides and mortise and tenon construction, the Courier's Desk is made to last. It features dual writing boards, raised panels, and a pencil tray in the lap drawer. Keep your letter size files stowed away in the base of this flat top desk, and four additional drawers keep smaller items tucked away out of site. Our Courier's Desk is offered in two convenient sizes and in a number of finish options. 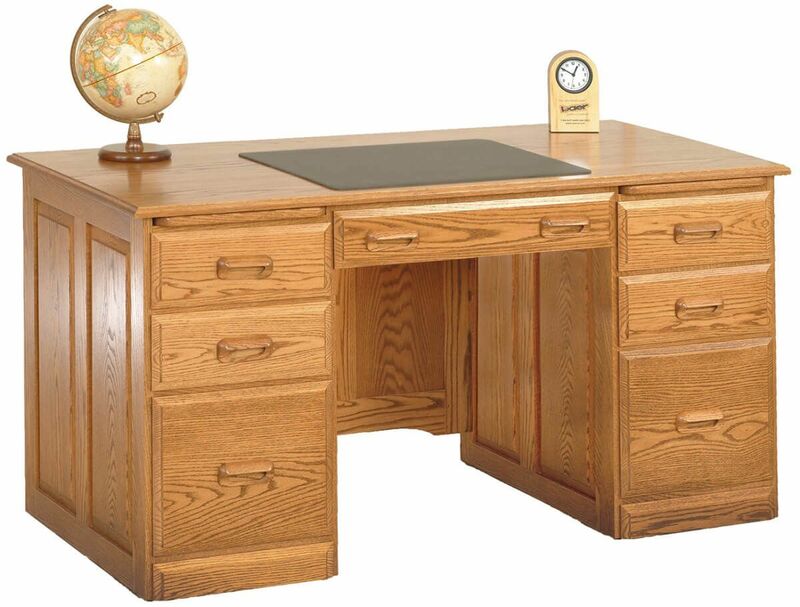 If you prefer the look of the traditional desk pictured, select Oak with a Sandy Creek hand-rubbed finish.